“The genealogical Rogue-LITE which has you throwing countless number of children into an ever changing castle will soon be portable. Also non-portable depending on what system you play it on. But either way, you will die. A lot. But no worries, because all the money you made is inherited by your children. Children who will try to avenge you, or die trying. It’s a vicious cycle, and it’s one that only YOU can break. So prepare yourself, because the McRib is back (the enemy, not the sandwich). “Edmund McMillen has made a career of pouring himself into twisted worlds. When we met up with him over hamburgers, he shared his full vision for Binding of Isaac: Rebirth. Nicalis are completely remaking this smash hit, adding a whole new game’s worth of content. “What’s not to love about this? Mike is a star now and not without good reason. I remember decades ago there was an advert about whether a game could make you cry. Well, with Thomas Was Alone, Mike managed to inject more personality into rectangles than anyone could have imagined was ever possible. It takes a great storyteller and someone who really understand creative characterisation to achieve that. “Vlambeer are the very essence of indie. Totally free, fixated on the detail and utterly devoted to crafting the deepest gameplay experiences from the simplest elements, I’ve always understood why so many people love their games. As for Wasteland Kings, well, Rami brought a build of this to our offices a while back and we were just bewitched. It was utterly magnificent. You know when you think you’ve got a game and then you see something new arise from a combination of gameplay elements you didn’t foresee? And you want to get mad, but because you realise it’s totally fair, you sit back, exhale, smile and salute the designers’ genius? Well that’s what Wasteland Kings did for me and the tiny Strategic Content team. 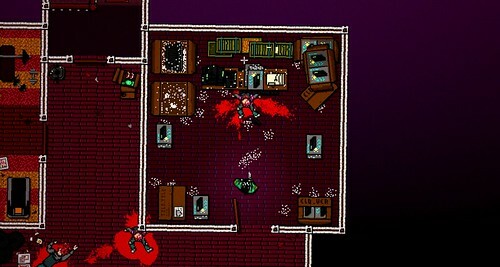 “Hotline Miami by Dennaton Games has been one of the outstanding success stories in the indie world. It blends a powerful story with razor-sharp action, backed up by one of the most loved soundtracks ever. We worked with Devolver Digital and Abstraction Games to make Hotline Miami, best on PS Vita. This has freed Dennaton Games to focus on Hotline Miami 2: Wrong Number, which we’re absolutely thrilled to tell you will make its console exclusive debut on PlayStation 4 and of course, PlayStation Vita next year. The highly anticipated Starbound from Chucklefish. “In Starbound, you take on the role of a character who’s just fled from their home planet, only to crash-land on another. From there you’ll embark on a quest to survive, discover, explore and fight your way across an infinite universe. You’ll encounter procedurally generated creatures and weapons, discover populated villages and abandoned temples. Explore planets dotted with dungeons, eyeball trees and treasure. Build vast stone castles or lonely, secluded cabins, and do all of it alone or with friends! 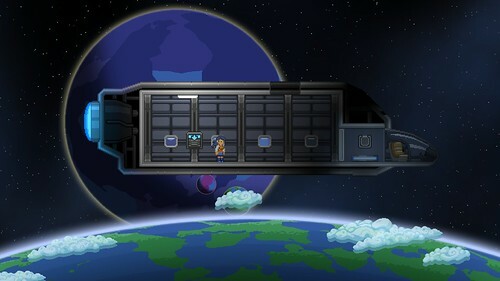 Starbound lets you live out your own story of space exploration, discovery and adventure. Settle down and farm the land, hop from planet to planet claiming resources, or make regular visits to populated settlements, taking on jobs and earning a living. NPCs are scattered about the worlds, offering quests and challenges for those looking for a little extra excitement in their lives. 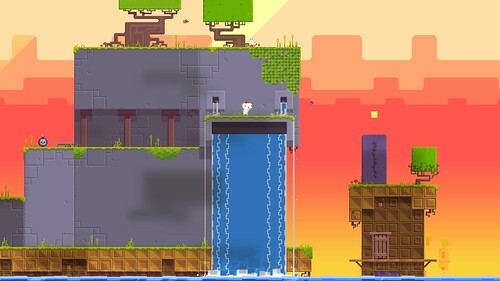 “FEZ is a game developed by Polytron coming to PlayStation Vita, PlayStation 3 and PlayStation 4. 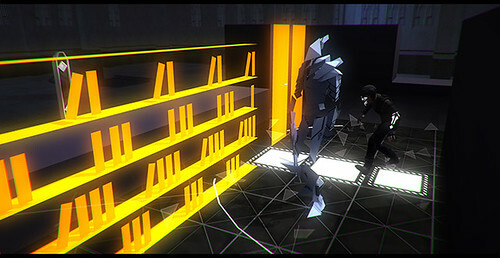 In it, you play as Gomez, a 2D creature living in what he believes is a 2D world. Until a strange and powerful artifact reveals to him the existence of a mysterious third dimension! “Weaving together two classic game formats into one seamless experience, Velocity 2X features puzzle-platforming action alongside the award-winning top-down shoot ‘em-up gameplay. 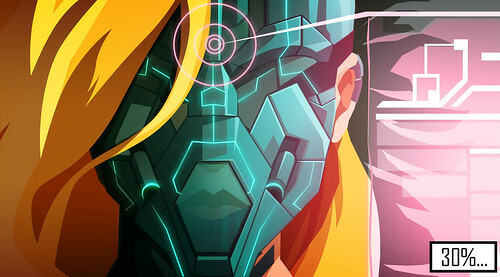 Velocity 2X gives players an opportunity to experience two beloved genres combined into one adventure. Players will take control of the teleporting Quarp Jet to outsmart enemies in race-tuned space combat, and then dock their ship, jump out and run around on foot to infiltrate enemy space stations. Once they’re done with the action on-foot, they can jump back into the Quarp Jet and continue their mission in space!